I bought a pack of these to use in the gooseneck desk lamps for my office lighting mock up. We needed to use LED lights to set a constant brightness for the desktops. These are great LED's! I really like how these are actually A19 shaped and sized and made of glass, unlike some other cheaply made plastic LED's. The plastic collars are the only small drawback on these otherwise great LED lamps. 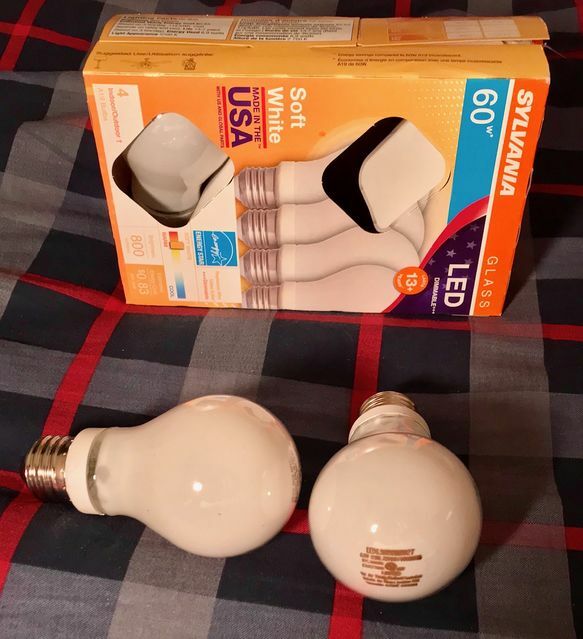 The nice light quality and being made in the USA sealed the deal for me. What is their CRI at CCT of 2700K ? Would it be over 90 ? If they are made in the USA I.m PRETTY sure they're excellent! Never compared to crappy Chinese ones! I'm guessing the CRI with these is between 80 and 90. It's subtly different from real incandescents, but it's still much better than any CFL or early model LED I've used.